I illustrate and design bespoke artwork for commercial or personal use, which infused with my quirky ideas and drawing style creates imagery that is deliciously fun and has great impact. View the work in my portfolio to get a feel of my style, see the themes I work with and the projects I’ve done. Get unique artwork for yourself by working with me to develop your exciting ideas into a unique final piece. 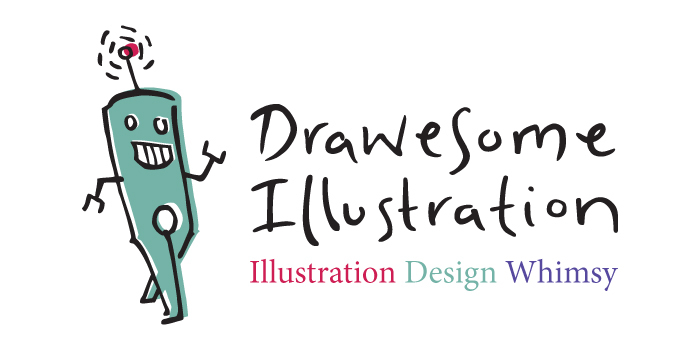 Get to know me – find out about Drawesome Illustration or check out the blog (scroll down) for more whimsical goings on. There are also many ways to get in touch; come and have a chat! 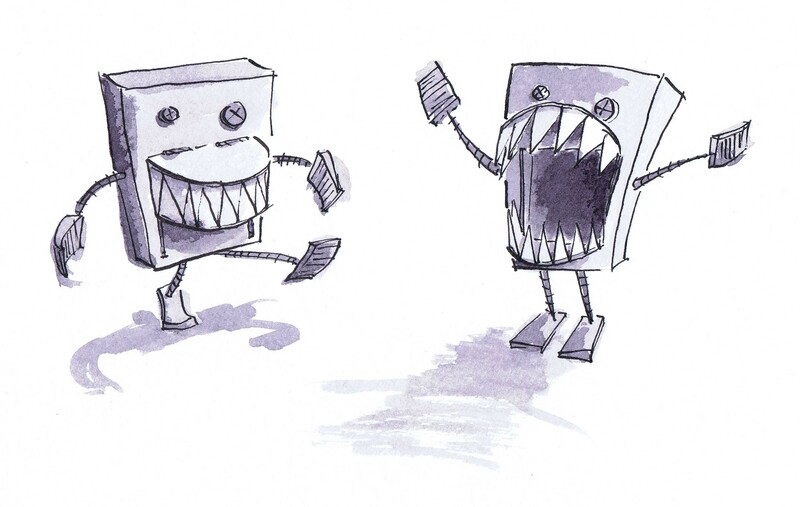 Today I drew and painted up a toothy robot, inspired by a pencil sharpener (if you can believe it). It doesn’t have a name yet – what do you think it should be called?